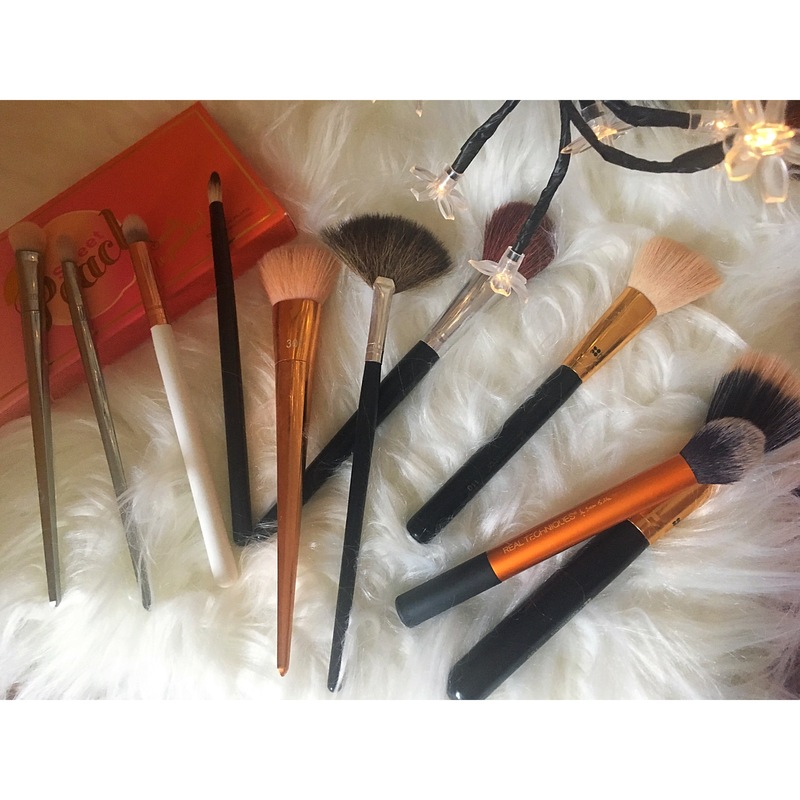 Out of all the beauty tools, I own to help me do my makeup I always manage to go back to my trusty and loved brushes and sponges that I swear by. I’ve seen this post travelling around and I absolutely love it! I think it’s fantastic to see the variety of brushes that people love and rely on and I thought I would share with you guys a few of my favourites. #1 Real Techniques Bold Metals Brush in 301. I love to use this to apply contour, bronzer as well as to add powder under my eyes. The shape of this brush really helps to get a really nice, sculpted look but as well to evenly distribute powder under my eyes to set my concealer and make it last longer. #2 Real Techniques Bold Metals Brush in 203. I use this brush to blend away eyeshadow. I also like to use it to add darker shades to the outer v of my eye. It’s also incredibly soft which I love for my eyes. #3 Real Techniques Bold Metals in 200. I like to use this brush generally to apply concealer under my eyes and even to blend around blemishes. It’s also brilliant to apply a base colour to my lids after applying an eye primer. #4 Real Techniques Contour Brush. This brush is from the original face collection and oh my god. I bloody love this brush, in fact it’s probably my favourite out of all the brushes I’ve mentioned. It creates a beautiful contour and because the tip gradually becomes smaller it really helps to make a precise line. I also love this brush for setting my base with powder and applying highlight to the high points of my face. I can imagine it would be good for blush as well. #5 BH Cosmetics brush in 110. I love this brush to add bronzer and it really helps to create a natural and gorgeous looking dimension to my face. #6 BH Cosmetics brush in 109. This is a duo-fiber brush and I love to use this to buff in my base and to really make my makeup look flawless. #7 Morphe Brushes. 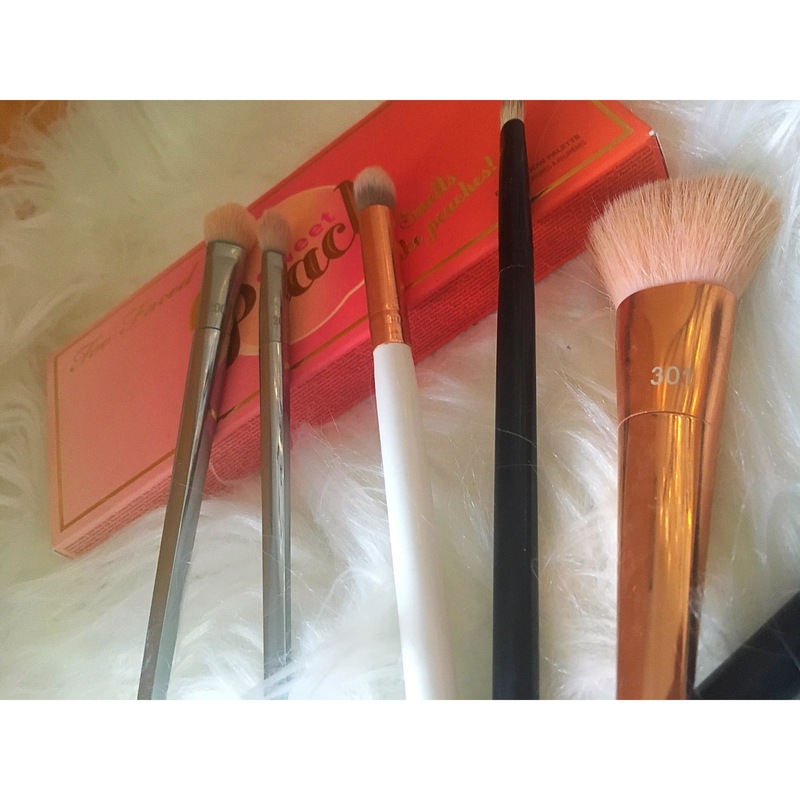 I got these next two in a set (check it out here on beautybay.co.uk) for £20 but my favourites are a medium sized fluffy brush. I use this for bronzer and I always love how natural it looks. #8 Morphe Brushes. This is a fan brush which is also from the same set and I just love how it applies highlight. It really does help to make it really precise. #9 Morphe Brushes in B39. I love this brush, it’s a fluffy blender brush and I use this to apply crease colours and blend them away. It’s so fluffy that it blends like a dream. #10 Spectrum brush in C06. This is such a large fluffy brush, ideal for blending away product. You can also use this to apply lid colours. It’s incredibly soft and really changes the way your eyeshadow looks. There we have my 10 favourite brushes! Let me know some of yours, I never say no to trying some new brushes.